Hack On Hills4 is the fourth edition of student held annual hackathon organized by App Team NITH at National Institute of Technology Hamirpur campus. This is a 32 hour hackathon where we aim to provide an opportunity to 250+ students from all over India to come together and to build something cool and innovative. 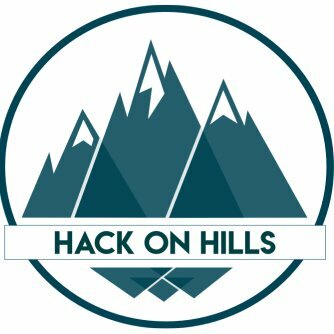 Hack On Hills is all about promoting open source development and expanding coding culture in our country. Prices:We have many exciting prices for winners and runner ups.Facilities:Accommodation and Food will be provided. Hack On Hills aims to build an environment of collaborative growth amongst all the participants regardless of their gender, caste, creed, sexual preference, socioeconomic background or cultural belief. Hack On Hills is open to everyone with a crazy idea and a will to implement it into a working prototype.Hack On Hills has always been supportive for women participation in the event, we have tried our level best to make sure that female candidates get a fair chance to put-forth their ideas and showcase their experience and talent.For this, we have introduced separate prizes for best all women team and reserving some portions of seats for womens during hackathon.